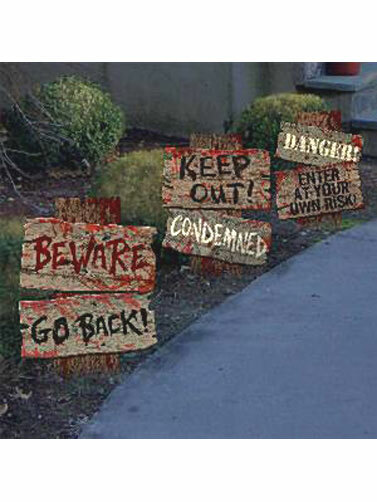 These Cemetery Sidewalk Sign decorations will mark the path and set a spooky tone for Halloween. 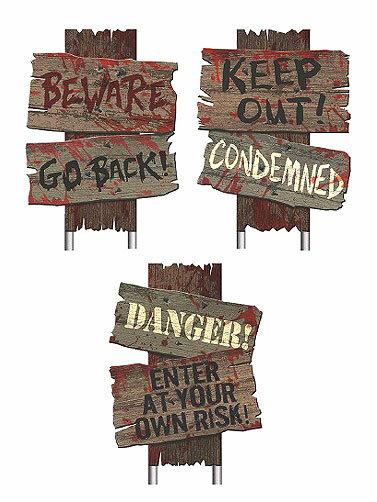 Set of three signs with a wood look; each with a different warning message. Constructed from corrugated plastic and safe for outdoor displays. Includes metal stakes for displaying in your yard. Cemetery Sidewalk Signs measure 12"W x 9"H. 3 pc.